Alcohol and alcohol-related violations have been a hot topic of debate for almost 200 years. The prohibition movement officially began in the 1820s, but the debate was especially intense during the early part of the twentieth century, with Prohibition becoming law in 1920. In 1933, a Constitutional amendment ended Prohibition, but some states refused to lift the band until decades later. In fact, Mississippi didn’t lift the ban on alcohol until 1966. Down to this day, alcohol is still a cause for concern and debate. While in moderation alcohol can be enjoyable, over-indulging can be dangerous, even deadly. That’s why lawmakers have created laws relating to the use of alcohol. While policy makers don’t control a person’s consumption of alcohol, they do make sure that an inebriated person can’t drive or operate machinery. They’ve also established a legal drinking age in this country which makes it illegal to indulge in or sell alcohol to anyone under the age of 21 years old. Giving alcohol to someone who is underage. This includes serving or selling it to someone under age. Loaning a driver’s license to someone who is underage so they can purchase alcohol. Purchasing alcohol for underage drinkers. Driving under the influence of alcohol. A DWI charge is determined based on a driver’s blood alcohol level. A blood alcohol level of .08 for North Carolina drivers aged 21 and older, or a level of .04 for commercial drivers, will result in a DWI charge. Additionally, anyone under the age of 21 who has been drinking and driving will be guilty of DWI no matter what their blood alcohol level may be. 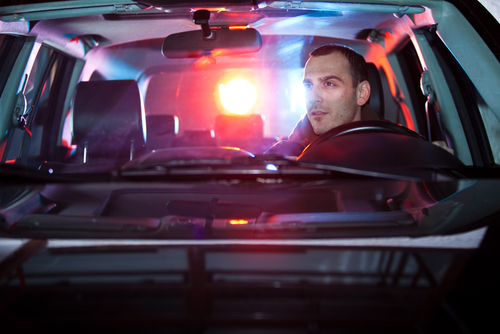 What Will Happen If You Are Convicted Of DWI? A DWI is one of the more serious alcohol-related violations because it is the one that most oftentimes results in injury or death. Being convicted of a DWI can result in your license being revoked or suspended, which becomes a part of your permanent driving record. The length of your license revocation depends on the number of DWI offenses you’ve committed. According to the North Carolina DMV, after a third DWI conviction, your license will be permanently revoked. In addition to the inconvenience of having your driver’s license suspended or revoked, you may face criminal charges. Being found guilty of such charges can result in jail time, fines and court fees. While it doesn’t pay to drink and drive in the first place, we all make mistakes. If you’ve been charged with an alcohol-related violation, especially a DWI, you need legal representation. 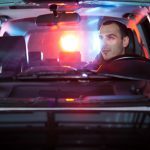 A DWI conviction can ruin your reputation and cost you a lot of money. You can even lose your car, license or job. Contact the law office of John C. Fitzpatrick. We will review your case to see if we can get your case dropped or the charges and/or sentencing reduced.